Ireland played the central role in maintaining European culture when the dark ages settled on Europe in the fifth century: as Rome was sacked by Visigoths and its empire collapsed, Ireland became 'the isle of saints and scholars' that enabled the classical and religious heritage to be saved. 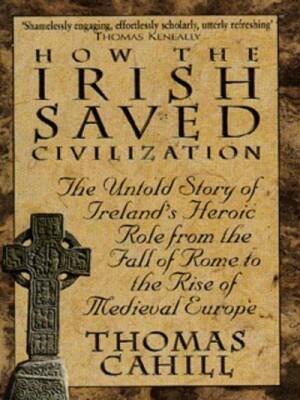 In his compelling and entertaining narrative, Thomas Cahill tells the story of how Irish monks and scrines copied the mauscripts of both pagan and Christian writers, including Homer and Aristotle, while libraries on the continent were lost forever. Bringing the past and its characters to life, Cahill captures the sensibility of the unsung Irish who relaunched civilisation.